Santana Equipment Trading Co, historically a forklift wholesaler with US mid-west roots, is pursuing an expansion strategy and advancing in the retail market. 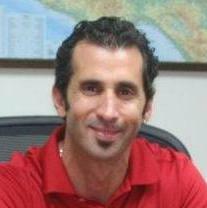 President and founder Eric Davidson decided in 2011 to develop the Hispanic market in the US south-west and west and Latin America, including Mexico. He sold his home in May and moved his family in June to Phoenix, Arizona. The Phoenix business employs five, occupies 10,000 sqft. (929 sqm) for offices and warehousing, and is reaching into geographic areas where Davidson’s fluency in Spanish is helpful. Santana Equipment employs 12 to 15 people and occupies 15,000 sqft. (1,392 sqm) at its home base in Gurnee. With Davidson’s relocation, Matt McKinney, 28, became director of operations in Gurnee. McKinney joined Santana in 2007 and, most recently, was sales manager. In September, Santana Equipment began using the Google Analytics website statistics measurement service of Google Inc, of Mountain View, California. “We see where the hits are coming from and do email campaigns to those regions,” Robert Walker, Santana director of marketing and public relations, says. A Turkey Trot business promotion led to Santana Equipment distributing turkeys and hams to 45 customers before the US Thanksgiving Day on 22 November. The hook: “Simply sell Santana 2 forklifts.” Santana pays the customer for the two forklifts and delivers a turkey and a ham to the seller’s home. Santana Equipment projects 10%-15% sales growth for 2012, compared to last year. Davidson, now 43, graduated from Southern Illinois University with a Bachelor of Arts degree in international marketing. He worked for four years at Forklift Exchange in Addison, Illinois, and another four years with the international wholesale division of Schiller Park, Illinois-based Atlas Lift Truck. Davidson, a fan of rock guitar player Carlos Santana, founded his business in 1999 and chose the famous musician’s last name for the company’s identity.